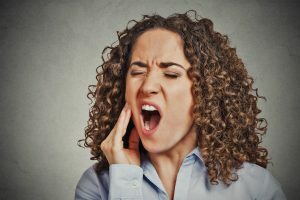 Whether you have bitten something the wrong way, or you have suffered a facial injury, you may find yourself with a chipped or broken tooth. This may cause your smile to look less attractive or make it difficult to chew. You will want to learn the best way to repair the damage. One popular treatment is bonding. It is a possible solution that may help restore function and a natural appearance. Tooth bonding is a treatment where a dentist attaches a porcelain material to a damaged tooth. The American Dental Association explains that it is a safe and simple way to change the color or shape of a tooth. This material is bonded to enamel so that a strong and durable structure results but feels like a regular tooth. Benefits of Tooth Bonding- Tooth bonding is an excellent way to repair broken teeth. The process offers a number of benefits. Little to No Enamel Removal- This means that the natural structure of a tooth remains healthy. Less Extensive than Other Procedures- Unlike other treatments, including crowns and veneers, bonding is quite simple and can be completed in one office visit. A typical bonding treatment is finished in under one hour. Inexpensive- Compared to other procedures that require time and extensive work, tooth bonding is relatively less expensive, so it will not break your budget. Little Preparation- When your dentist is performing a tooth bonding treatment, little prep work is necessary. To repair small chips, no anesthetic is needed. When you have a chipped tooth, Dr. Dana Walters offers cosmetic bonding in his office. He is dedicated to providing his patients with services that preserve their oral health. For more oral care or dental tips, feel free to make an appointment today.